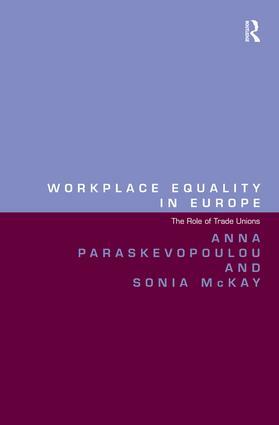 Anna Paraskevopoulou is Disadvantage and Discrimination Senior Research Fellow at the Working Lives Research Institute, London Metropolitan University, UK and co-author of Undocumented Workers' Transitions. Sonia McKay is Professor of European Socio-Legal Studies at the Working Lives Research Institute, London Metropolitan University, UK. She is the co-author of Statutory Regulation and Employment Relations: The Impact of Statutory Trade Union Recognition; Undocumented Workers' Transitions: Legal Status, Migration and Work in Europe; and Life in the Shadows.